Traders of Commercial Vehicles, Trailers, Plant and Municipal. Trailer Manufacturers, Bodybuilders, Rental & Leasing. Rothdean Limited are a family run UK based manufacturing Company established since 1972. Our current stock is available through the website here to review, hire, or buy. We are trailer manufacturers, offering an extensive range and capacity. We offer a 'one stop shop' for all your trailer requirements. Rothdean exports are also an important part of our business. 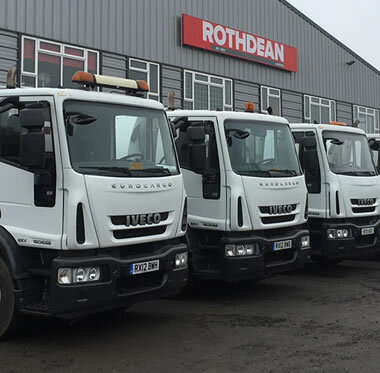 Look through the extensive range of stock from Rothdean. Our team are on hand to guide you through the whole buying process, value for money and best prices are our standard. Rothdean has been running since 1972. Quality is at the heart of all we do. From our central UK base, we have an unrivalled reputation for quality and service in the truck and trailer industry. We are a family business with a team of over 50. We always deliver a friendly and personal service.